What if Dungeons & Dragons were more like a Coen brothers caper? My partner and I have two different running RPGs going (one traditional D&D and a new one we’re trying out called Blades In The Dark), but owing to the fact that it is literally impossible for four-to-six people to meet every week, we often don’t have quite enough friends over for the usual session. 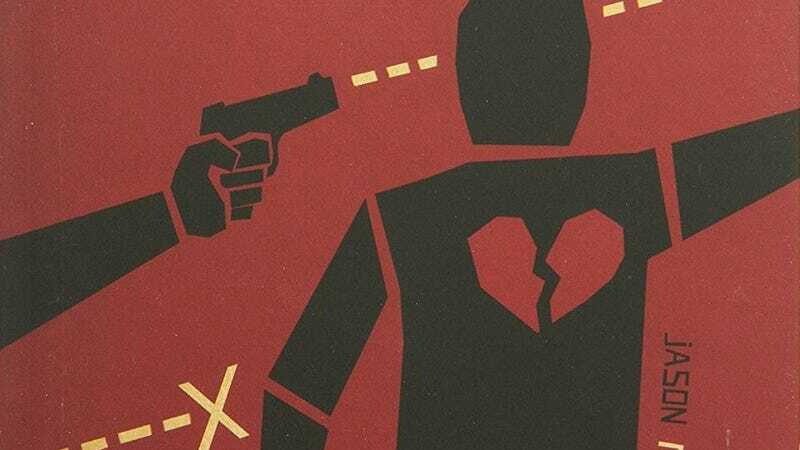 In these instances we’ve turned to Fiasco, a quick-and-dirty RPG best described as a collaborative story-telling game by way of a Coen brothers’ caper. Each game is a different setting: The core rulebook includes sessions taking place in small-town America, a Western, and a Thing-styled Antarctic station. It starts with establishing relationships between characters (the game does a good job of providing a big list of generic connections, allowing players to fill in the details), then discussing as a group the basic setting. Rounds play like scenes, with act one establishing the story. After act one there’s a pivot, and that’s when the fun happens. Like the point in most Coen movies where everything starts to fall apart, Fiasco has you set up the pieces and then sends them cascading in crazy directions. We’ve had the most fun with the supplemental and fan-created playsets. Much blood was shed in “Camp Death,” a summer camp horror movie-esque romp that’s perfect to play now, when haunted houses and scary movies abound. And recently we crafted what felt like a pretty great outline for an animal-centric script through “Rat Patrol,” a session inspired by rat- and mouse-centric media like The Secret Of NIMH, Pinky And The Brain, Plague Dogs, Watership Down, and The Rescuers. If you have friends even remotely familiar with pop-culture tropes, you’ll have a good time with these more specific story set-ups. Okay, so this one’s a little bit of a cheat, since it’s not something I’ll actually be or feasibly could be playing this weekend, but I thought it might be fun to talk about. Last week, I went out to a Microsoft showcase in New York to check out the company’s offerings for this fall and beyond, which meant seeing the Xbox One X, Cuphead, Sea Of Thieves, and some games from third-party publishers, like Assassin’s Creed: Origins and Middle-Earth: Shadow Of War. I’ll be addressing a few things specifically, but if you have questions about any of those, feel free to ask in the comments, and I’ll do my best to fire off an answer. The latter two were about what you expect. Assassin’s Creed still feels like Assassin’s Creed in structure and scope, but the combat has been given an action-RPG makeover, complete with regular and heavy attacks you’ll have to time carefully and even shield parries. Its digital Egypt looks especially beautiful, the yellow-brown land and towns speckled with pops of vivid color. Meanwhile, being plopped into the back third of Shadow Of War, a sequel that has taken the already considerable procedurally generated complexity of its forebear and added nuance on top of nuance, was as befuddling of an experience as it sounds. There’s just so much going on—Diablo-style loot and skill trees, managing the randomized orcs in your army, planning around the strengths and weaknesses of your randomized orc enemies and their allies—that I have a feeling it could be a rewarding strategic sandbox given the proper pacing, which is something the game’s creative director acknowledged when I asked him how the game handles all this complication. In the limited scope of a demo, though, it was incredibly overwhelming. Considering what we know about the game that Cuphead actually is, I’ve always been surprised by the amount of buzz around it. This was my first time getting my hands on it, and while it’s a damn gorgeous, fully hand-drawn take on early American animation (something I dearly love), I’m still worried about it. Underneath the Fleischer Studios look, it’s a pretty intense rendition of Contra style sidescrolling shooters, with run-and-gun platforming stages separated out from fights against massive bosses capable of filling the screen with fatal projectiles. Going co-op with a friend makes things a little easier, but adding a second also contributes to the chaos, further obscuring poassible paths to safety. Under Microsoft’s guidance, it seems the game’s developers have tried to tone things down and provide some more accessible options for less skilled players (bosses also have a “simple” mode that cuts down on their multi-stage fights), but time will tell if it’s enough to welcome in people who are primarily coming to this for the art.